first cold front in fine fashion. 1. 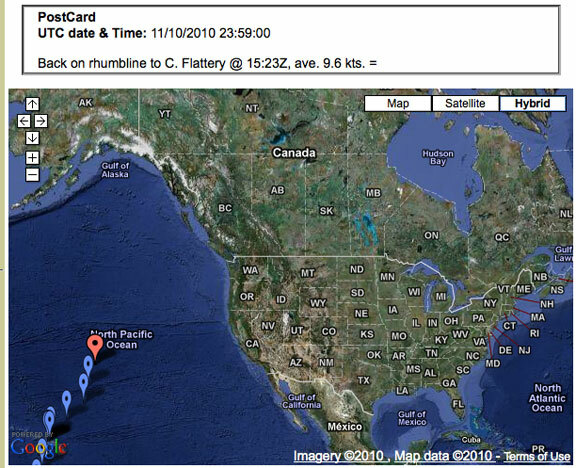 Weather Summary as of 11 October 2010 0200HST. Oct (13Oct 0300Z). Winds increase SEerly 25 kts range. Wind waves 2.0m. After front, NW conditions with abating trend. Skies partial clearing. Note the suggested “tack” to the NW ahead of the front and then “tacking” back to the NE after the front passes. This is the same approach you would take under sail. Whether or not this required for comfort is a question of sea state. This entry was posted on Tuesday, October 12th, 2010 at 3:16 am and is filed under FPB 64 Updates. Both comments and pings are currently closed.